You haven't experienced state-of-the-art portable lifting convenience until you've used the BendPak LR-60P. This 6,000-lb. capable lift comes loaded with an electric / hydraulic power system, multi-position safety locks, rubber lifting blocks, a dropped crossbar for added clearance and a heavy-duty steel channel frame. Let the portable car lift take those vehicles and your service capabilities to new heights. Roll it. Move it. Store it. Bring it to any part of your shop.  This totally portable car lift is the perfect answer for those looking for a lift that can perform all the important functions you want from a low rise lift, yet still allows you to roll it away when not needed. Low-profile design A low 4" collapsed height accommodates most vehicles. Single-point safety release The single-point safety release and dead-man style operation controls make the LR-60 lift easy to operate and safe to use. Dropped crossbar A specially formed crossbar is dropped in the center providing added clearance for vehicle drive-over clearance. Rugged steel channel frame If you're going to do heavy lifting, you need a solid base. Industrial-grade hydraulic cylinder Integrated into the single hydraulic cylinder is a one-piece, pilot fitted, machined steel piston that is wrapped with specially designed, pressure loaded U-cup piston seals, backups and wear bands that virtually eliminate any fluid bypass. The micro-smooth chrome-rod is machined from high-yield, ground and polished C-1045/50 micro-alloy steel and plated to a minimum of .001" diametrically, to ensure superior cylinder operation and life. The superior-design high durometer, mechanically-loaded rod seals make rod leakage is a thing of the past while a specially formulated abrasion-resistant urethane rod wiper provides exclusion protection. The welded cylinder body is made from robust steel tubing produced to exceed ASTM specifications. This combination of superb base material and superior processing ensures that the cylinders remain straight, smooth and last a very long time. Durable powder-coat finish All low-rise lifts feature a durable powder-coat finish that gives the metal a high-quality, extremely durable finish which can withstand even the harshest environmental or chemical conditions. Unlike other companies that claim to powder coat, we take pride in our meticulous 10-step process. First, all parts are visually inspected before being sandblasted. Afterwards, the parts are washed in our 5-stage phosphate tanks that can accommodate parts up to 25' long. Once cleaned, they're immediately dried to avoid rust production, and then outgassed. Outgassing pre-bakes the parts in a curing oven, reducing the possibility of blemishes that may be hiding in the pores of the metal. If not properly outgassed, imperfections in the metal may bubble during the curing process and most likely will cause chips in the powder. After the parts are washed and outgassed, any surfaces and / or threaded holes that need to be masked or plugged, are done so with high-temperature masking tape and silicone plugs. Next, the parts are given a quick thinner wipe to remove any light debris or fingerprints, before being hung on an electrostatically grounded conveyor line. The powder is finally applied using an electrostatic spray gun. The powder “sticks" to the surface in a fashion similar to how dust sticks to a television screen. Once the parts are powder coated, the carts are rolled into our curing oven and baked at 400° F for 45 minutes. Solid rubber lift blocks Others charge extra for these necessary adapters, but they're standard with every LR-60 lift. Detailed instructions Included with every lift are detailed installation and maintenance instructions, graphic safety decals, maintenance decals, vehicle lifting point guide and a safety instruction placard to train personnel on proper safety procedures and maintenance guidelines. 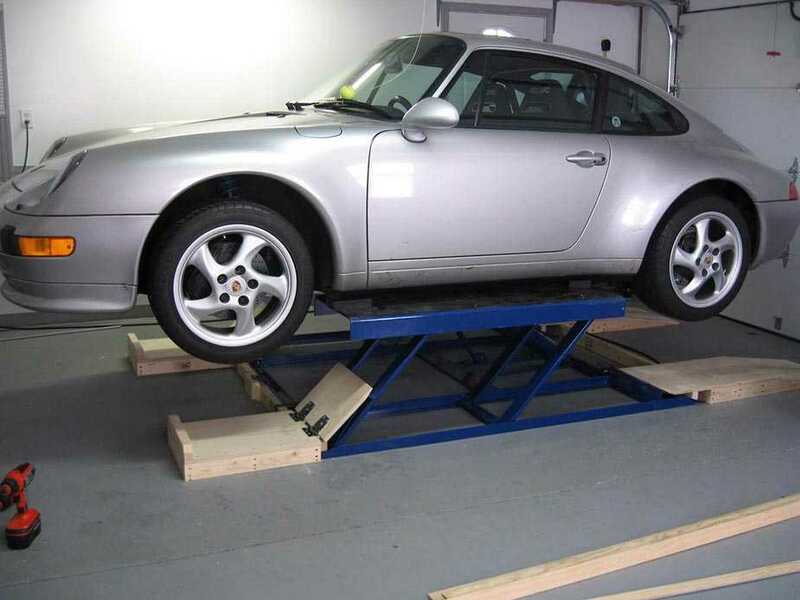 These car lifts are perfect for those times when you want to utilize a small amount of shop floor space or when you want a versatile, yet inexpensive low rise lift. Great for the home / hobbyist as well.